Let us be clear. The imminent victory in Syria’s largest city of Bashar al-Assad’s government – and of its essential supporters, Russia, Iran, and Hezbollah – is built on war crimes. For months, hundreds of thousands of people in opposition-held areas of Syria’s largest city have been besieged and bombed. Thousands have been killed. Men of fighting age seized in recent days by pro-Assad forces face conscription into the Syrian military or detention and torture. Scores of residents reportedly executed in the 24 hours before a ceasefire was announced on December 13. Rebels and civilians will get some respite, if yesterday’s agreement for their removal from Aleppo to other areas in north-west Syria is implemented. But this is only the end of one chapter: the war goes on, as it has since the uprising against Assad in March 2011. Opposition forces are still holding out in some areas near Damascus and in southern Syria; more importantly, they control much of Syria’s north-west, including almost all of Idlib Province and parts of Hama, Aleppo, and Homs provinces. A joint Turkish-rebel offensive has captured a significant part of northern Syria. The so-called Islamic State (IS) is far from gone: only days before Aleppo really began to give way, it recaptured large parts of the historic city of Palmyra from the Assad regime. Syria’s Kurds have their own areas, especially in the north-east of the country. Assad doesn’t have the answer, however much he claims control of his “Syrian nation”. The US has little more to contribute, now effectively sidelined after years of indecision and a misguided decision to follow Moscow’s lead. As things stand, much of the future of Syria is at the mercy of Russia and Iran. 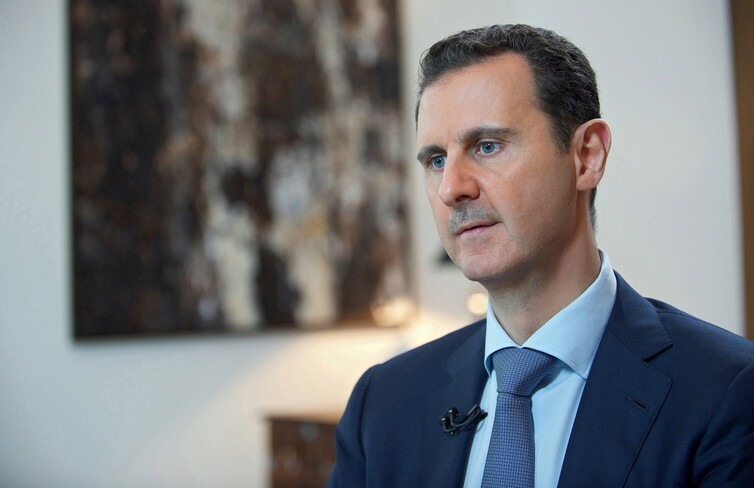 In a recent interview with the regime-friendly Syrian newspaper, al-Watan, Assad was clear that he still aims for a total victory, with Aleppo as “a huge step towards this end”. But while he’d never admit as much, he simply doesn’t have the resources to achieve such a thing. The sudden fall of Palmyra to IS made clear once again that Assad’s depleted military is now little more than a figurehead for the real forces propping him up: Russian air power, Iranian commanders and troops, Hezbollah fighters, Palestinian brigades, Iranian-trained Iraqi and Afghan militia, and Syrian paramilitary units. Even if he conscripts men captured in Aleppo, Assad will remain a military dependent rather than a force to be reckoned with. And with the Syrian economy only kept from total collapse by international sponsors, it is unclear whether the president’s supposedly loyal public will keep supporting him post-conquest. So what Assad can’t or won’t acknowledge is that the future of his regime depends on others in Syria. As has been the political and military reality for months, Russia is in the driving seat. Having saved Assad with aerial intervention in September 2015, Vladimir Putin and his inner circle decided to go further and erode the opposition and rebels with thousands of airstrikes, advanced weapons, and special forces – all helped along by Iran and Hezbollah. Despite a seriously tense relationship with Turkey, which shot down a Russian fighter plane at the end of 2015 – Putin recently achieved a political breakthrough in talks with the Turkish president, Recep Tayyip Erdoğan, defusing tension over the downed jet and apparently agreeing to pursue their Syrian aims on different fronts. Russia played for time by leading the US on a snipe-hunt for a “political resolution” that would never occur. By early December 2016, Moscow even agreed to a US-Russian proposal to evacuate those in opposition-held Aleppo districts – but then pulled back when the pro-Assad forces advanced further into the areas concerned. With Aleppo effectively crushed, Moscow’s focus turns to opposition-held Idlib Province. Does it back Assad’s fervent desire to wipe out the rebels, with the prospects of weeks and possibly months of bombing, killing of civilians, and further displacement? Or does it settle for what has been achieved, allowing the opposition an enclave in Syria just as the Kurds are (at least for now) allowed theirs? That decision probably hasn’t been made yet – and what’s more, not even Russia is in full control. Russia may hold sway in the air, but Iran remains the key military player on the ground. It began training Syria’s militias back in 2012, and then put in its own forces and Iranian-led foreign units. It’s invested far more than Russia since the Syrian uprising began in 2011, sinking billions into preserving the regime. It has lost more than a dozen commanders and many hundreds of troops, not to mention the large uncounted casualties among the Iraqis and Afghans whom it leads. 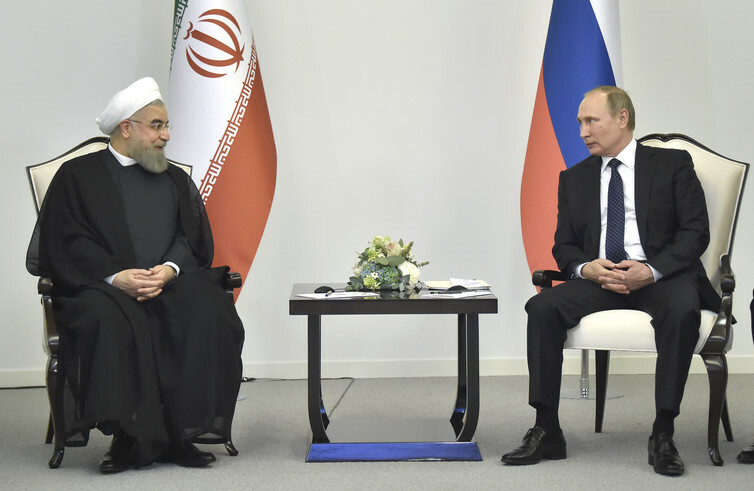 Iran also consistently goes further than Russia in its private and public support for Assad. In autumn 2015, when it appeared Moscow might accept a settlement in which the regime remained but the president went, senior Iranian officials made clear that Assad’s departure was a red line which could not be crossed. And when the prospect of conquering Aleppo finally arose in 2016, Iran pressed Moscow not to settle for a deal which would leave the opposition in any part of the city. Along with Syrian rebel groups, his forces of territory – and, far from incidentally, a “safe zone” for civilians – along the Turkish-Syrian border and into Aleppo Province. That offensive is now trying to drive IS from its last major position in the area, the town of al-Bab. 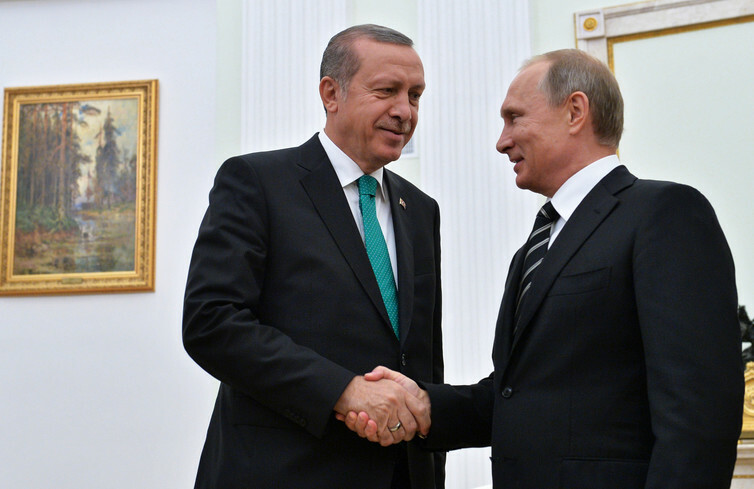 A longtime backer of the opposition and rebels, Turkey has traded in its unqualified support for the anti-regime forces for a balancing with Moscow and Tehran. In exchange for accepting their advances, Erdoğan now has his area to push back his main foe – Syria’s Kurds – and to exercise leverage over the future of the country. All the while, conspicuous by their near-total absence are the Americans. Once the ultimate power throughout the Middle East, they are sidelined. Secretary of State John Kerry, desperate to claim success before the Obama administration humiliatingly gives way to Trump’s, continues his quixotic pursuit of a resolution. Even after months of Russian manipulation ended in the carnage of Aleppo rather than that outcome, Kerry may well try once more. Meanwhile, President Obama’s UN Ambassador, Samantha Power, continues her rhetorical offensive against Moscow and the Assad regime. The US has been reduced to a policy of trying to exert influence by supporting the Kurdish-led Syrian Democratic Forces in an offensive against IS in northern Syria. That offers some traction in a corner of the Syrian conflict, satisfying Washington’s rhetoric that IS – rather than the Assad regime – is the primary concern. But it is only a corner: the US is now on the bench.